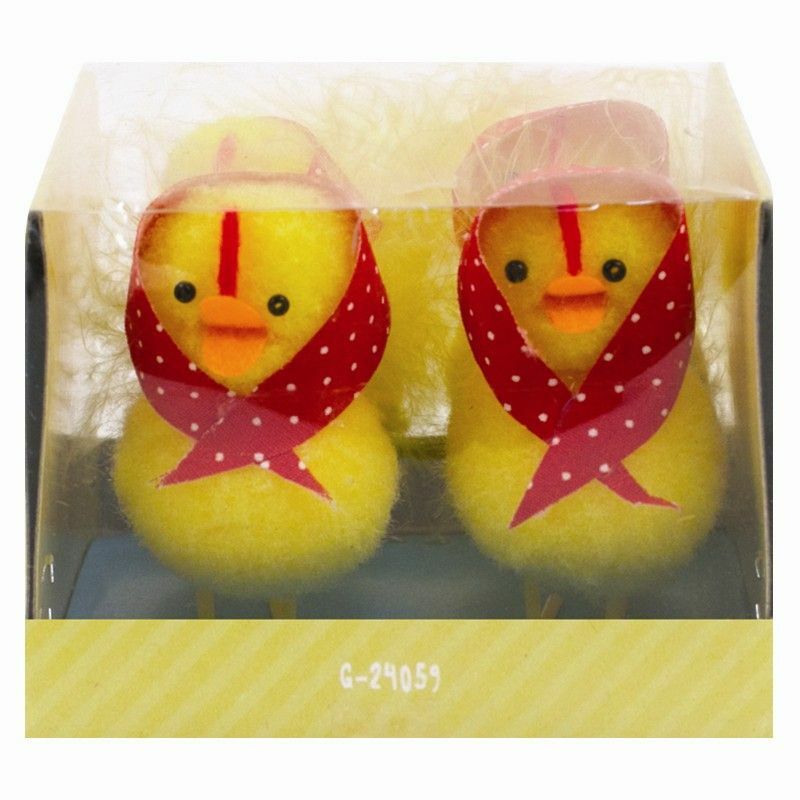 Each chick is complete with either an Easter bonnet or head scarf. Size: 6.5 x 8 x 7 cm (approx. ).